One of the cornerstone results in  is the general existence theorem of a Brakke flow. 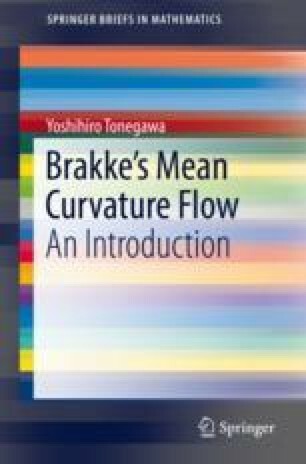 For any 1 ≤ k < n and any initial rectifiable k-varifold with some minor assumption, Brakke gave a proof of a time-global existence of rectifiable Brakke flow starting from the given data. When the initial data is an integral k-varifold, the obtained flow is also integral in the sense defined in Chap. 2.